Christmas tree ideas: The best decorations and themes for a unique tree. How to rock a Christmas tree decoration theme that truly reflects your unique personality. I remember every single Christmas tree my family has ever had. Each one was slightly different and a reflection of life at the time. From the overcrowded, slightly-slanted tree of my primary school days, to the more minimalist colour-coordinated tree from my late teens. To now – a tree which is a combination of both – filled with handcrafted intricate baubles and lopsided trinkets thrown together by the grandchildren. Decorating your Christmas tree is a deeply personal and creative task, and no two trees will ever look the same. And mastering the art of your own Christmas tree decoration theme can be a heck of a lot of fun. This tree is all about embracing your inner glam. Think sparkly, well-made baubles and handcrafted trinkets that will last for many Christmases to come. 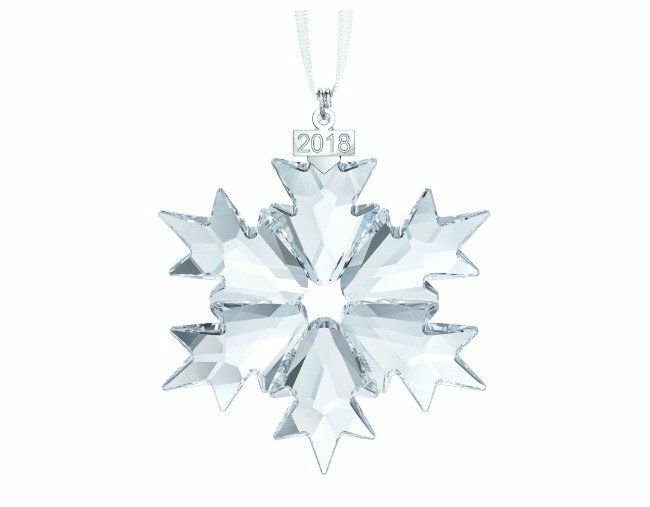 A simple mix of gold and silver decorations, with a hero piece like this Annual Edition Ornament 2018 from Swarovski ($119), will make your tree one to remember. This one is perfect for families who want to create lasting memories, but also anyone who loves to entertain and be a real showstopper. The minimalist dream tree is all about clean lines and simple decorations. Think a string of fairy lights and a few purposefully placed baubles. With this theme, the actual greenery of the tree is the real hero. A minimalist dream tree is perfect for small apartments or busy, professional couples. A colourful Christmas tree allows you to have a bit more fun. Think handmade decorations, bright colours and a clashing of prints. 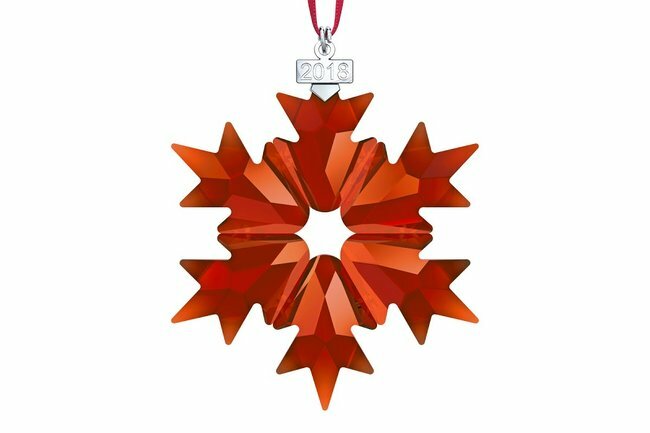 If you&apos;re not a particularly crafty person and just love colour, this Swarovski ornament is a one of a kind. The colourful tree is perfect for young families with curious minds and even more curious hands. And big kids who aren&apos;t afraid to play with colour! Monochrome chic is perfect for the classic decorator. These subtle decorations are easy to source - think white baubles, black tinsel, gingham bows - and will never date. 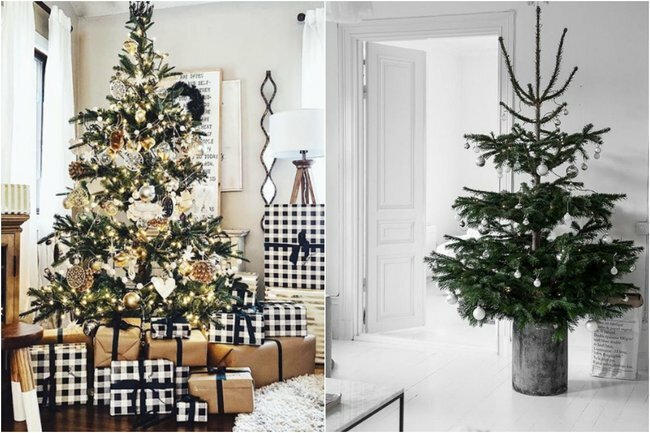 The monochrome chic tree suits singles or couples who would like a low-maintenance tree, that will always look on point. It turns out the ombre trend isn&apos;t only for your hair. If you decide to go down the ombre track, you can either go for a sleek, minimalist ombre of whites, greys, and blacks. Or you can fully embrace colour and make your tree a rainbow explosion of fun decorations. The ombre for days is the perfect theme for families who would like to express their unique personality and anyone who likes to snap a few pics for Instagram on Christmas Day. What&apos;s your Christmas tree decorating style? Tell us in the comments below. For more Christmas decoration inspiration that can suit any tree, take a look at Swarovski&apos;s 2018 Holiday Collection, which includes a brilliant range of hanging ornaments, tree toppers and decorative objects you&apos;ll love. Swarovski brings its inimitable shine to the festive season along with a message as brilliant as its new Holiday Collection - to inspire gift-givers the world over to spread joy, love and sparkle. Let the collection transport you to a crystallized wonderland, sharing joy and sparkle for all and reflects the brand’s will to empower all women from around the world. Shop the collection now at www.swarovski.com.